A manufacturing company which makes belting products for a diverse range of sectors has secured two significant contracts after exhibiting at Durham Oktoberfest. GB Belting, which exports its products to over 70 countries worldwide, was involved in the manufacturing and engineering expo for the first time in October. And after meeting a host of new contacts, the Thornaby-based company is in the final stages of signing new contracts with two regional manufacturers. 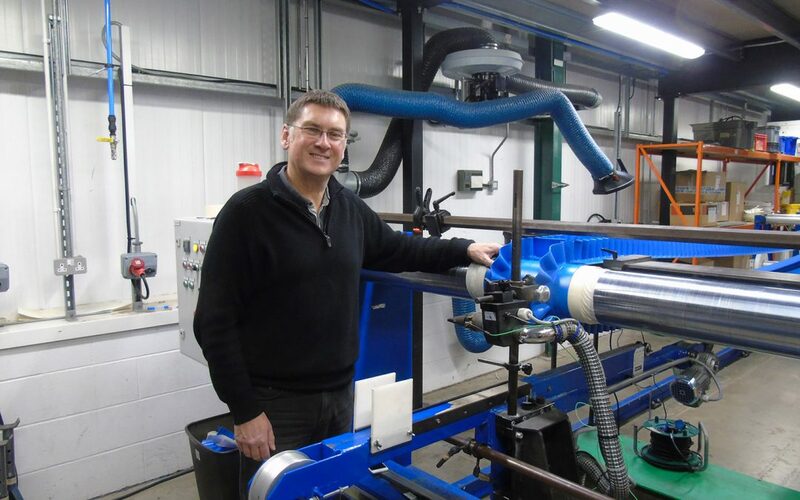 The family-owned business, which was founded by Gerry Byrne 40 years ago, is the UK’s largest independent producer of process and conveyor belting products, supplying to companies and organisations in the food, automotive and retail industries. Jeremy Byrne, Gerry’s son, is managing director of GB Belting, which employs 10 people at its Teesside Industrial Estate facility. He said: “We had attended Oktoberfest but had never exhibited so we didn’t really know what to expect. But we made a lot of new contacts and after following our promising leads up, we are in the process of converting two into contracts. “The contracts will be sizable for us and may well lead to other things which is great. As well as supplying their products into the likes of Nissan and many of the country’s leading food producers, GB also manufactures belting for treadmills, which is one of its most exported products globally. Hundreds of people attended the tenth Durham Oktoberfest, which was held at the Xcel Centre in Newton Aycliffe. Ben Gilhespy, Operations Director at County Durham Engineering and Manufacturing Network (CDEMN), which organises Durham Oktoberfest, said: “Our event is all about introducing companies to potential clients and suppliers, which ultimately supports the growth of the engineering and manufacturing sectors here in the North East. Durham Oktoberfest 2018 returns on Thursday, October 18. For updates on the event, or to book as an exhibitor, visit durhamoktoberfest.org.uk.